We've always called it wrong! Good to know, thank you :-) . It looks great, must taste so good! Love the cauliflower mash instead of potatoes. I never realized that the name was dependent on the type of meat. I always thought they could be used interchangeably....like supper and dinner LOL. lol right?? I got it wrong so long I wind up saying "We're having Cottage Pie.. you know, Shepherd's Pie?" I guess everyone just learned the difference between shepherd's and cottage pies. I was reading Amy's post just now and went, "Aaahhhh!" Thanks for sharing this, Lynda. I love your idea of using cauliflower mash instead of potatoes. What a wonderful way to lighten up this delicious dish. You've made me hungry for this wonderful comfort food! I've never hear of cottage pie but this sounds good. Thanks for sharing at Merry Monday, see you next week! I love this!! It sounds so hearty and healthy. Thanks for sharing at the What's for Dinner party. Have a great week. This looks so good! Cauliflower mash is really good, too. Delicious. This looks delish and bonus points for the use of cauliflower. Stop by and link this delish dish up if you get a chance. What a great idea! 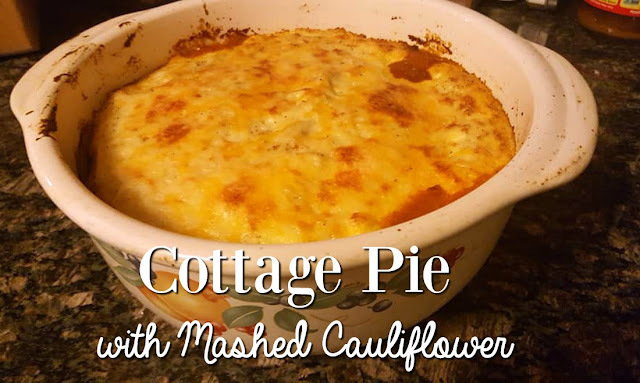 We often make cottage pie too with mashed potatoes; I never thought of trying mashed cauliflower but it looks delicious. Pinned. Your recipe looks delicious! 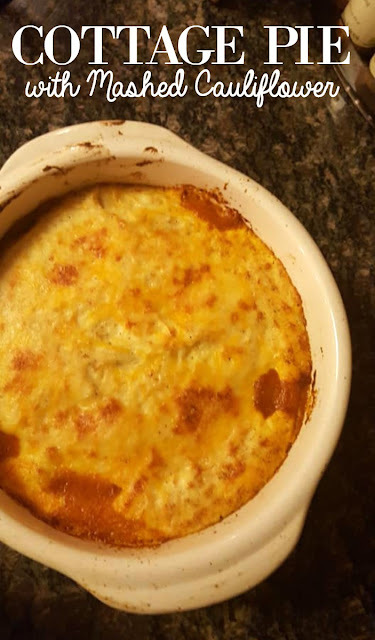 I didn't know the difference between Shepherd's Pie and Cottage Pie - learned something new! Thanks for sharing with us at The Blogger's Pit Stop! 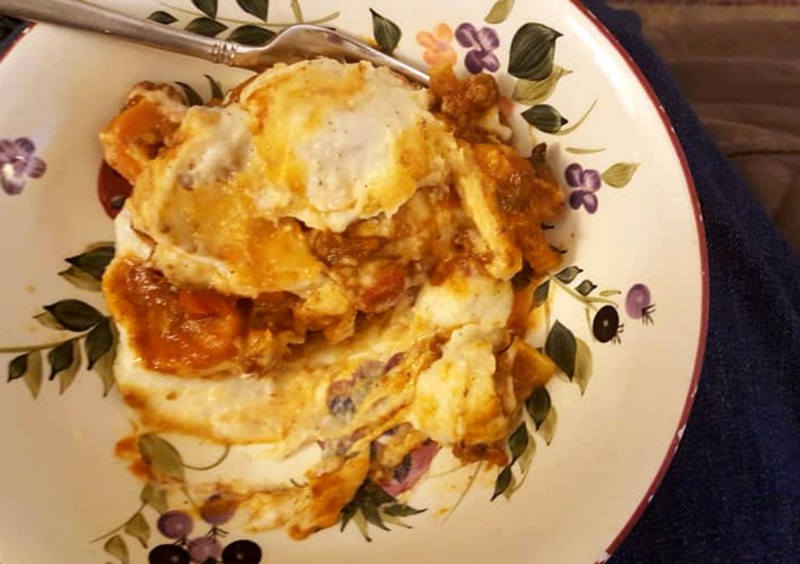 This is one of my Featured Post this week at Merry Monday for One Dish Dinners. Pinned. I wanted to Tag you in my Instagram post but can't seem to find you on IG. Can you send me your link please? The cauliflower is a great substitute for a topping for this delicious pie! Hope you are having a good week and staying warm. Thanks so much for sharing with us at Full Plate Thursday!